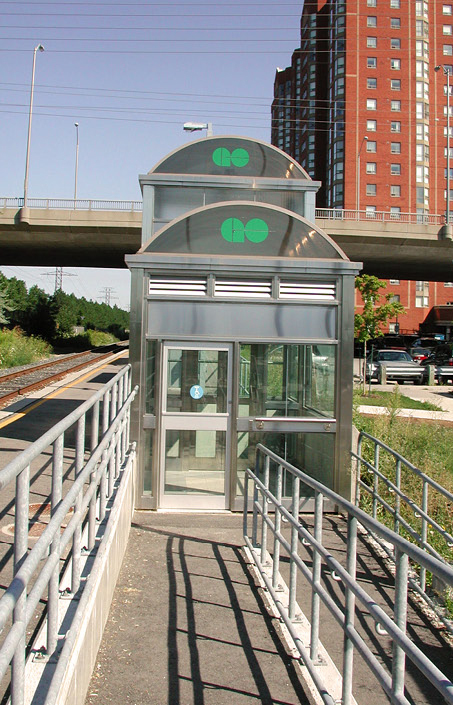 GO Transit: Kennedy Station Upgrades - Strasman Architects Inc. 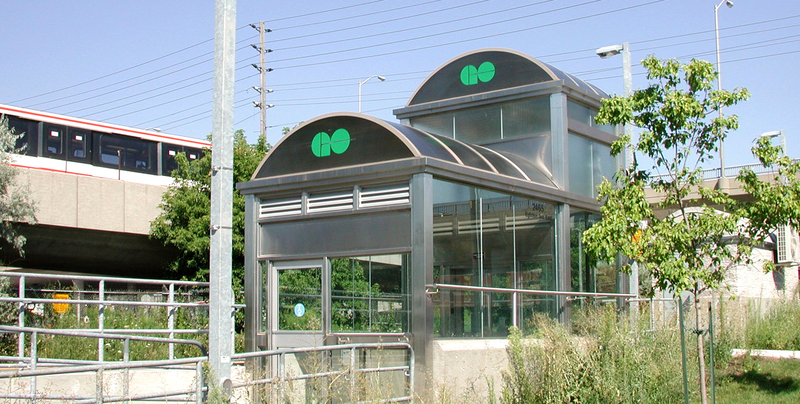 The original program called for a standard 275 metre GO (side) platform along the CNR track at the junction of the TTC Kennedy Subway Station and the TTC Kennedy LRT terminus (at Eglinton Ave. East). Originally planned as a ‘manned’ station, access was through the existing TTC tunnel from TTC W-side of tracks, and existing stair from Mid-Scarborough Community Centre E-side tracks. 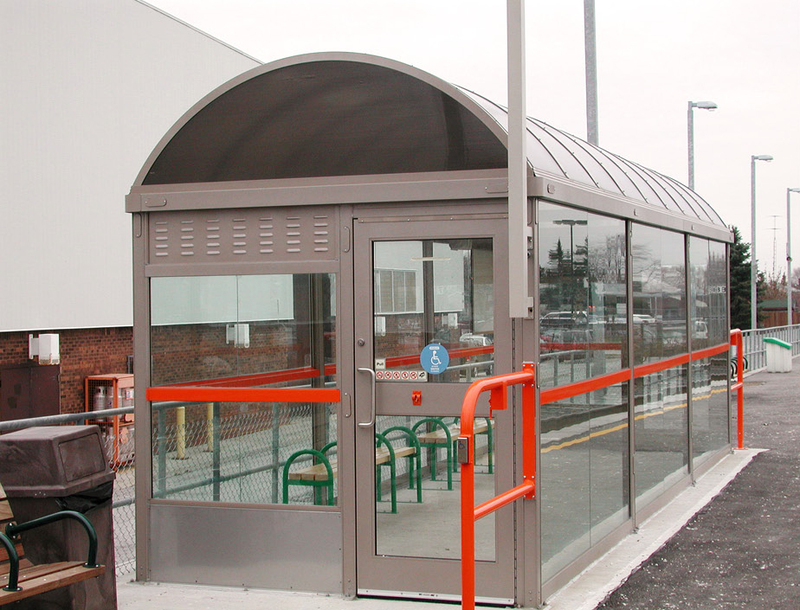 Two platform shelters, a new glass enclosed stair and a two-stop, glazed, hydraulic elevator were the primary functional elements for this barrier-free facility. Twice put on hold, the station is now ‘unmanned’ and utilizes the existing stair to an E-side platform to reduce the budget at this relatively low-volume site. 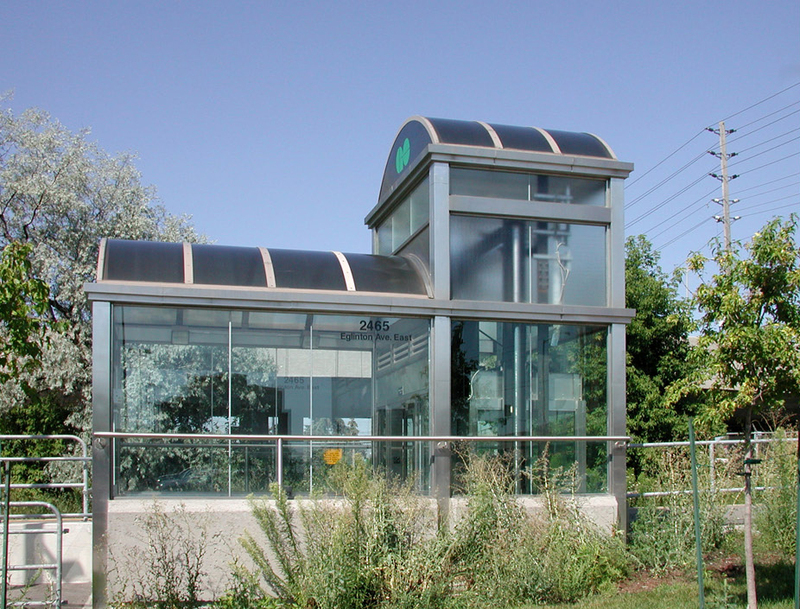 The main visual element remains the glass elevator and shaft enclosure, making this project a most valuable experience for additional “TTC Easier Access” undertakings such as Lawrence West Station.